As the sacred streams in with the light over the kitchen sink, we look for God’s face in the ordinary space of the kitchen sink. The morning light streams in the window bathing the sink in light. 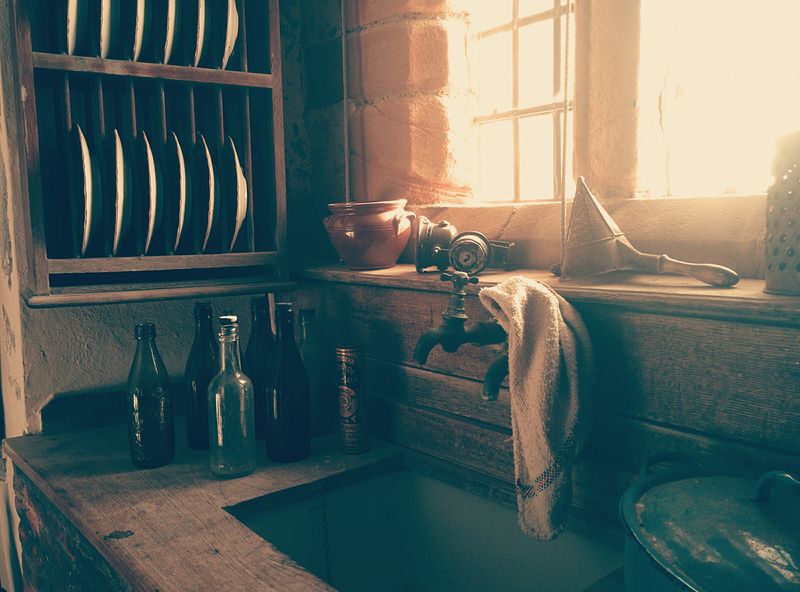 The dish rag hangs limp over the tap and glimmers of gold refract off the empty bottles set aside to take out later. The dishes are sit perfectly, each positioned exactly in their space. The soup tureen sits unwashed to the right of the sink. Where is God in this deeply ordinary moment? Is He with me? Can I see His face refracted and reflected in the sunlit bottles? Is He found in the light?